Product information "Jeder Gedanke ist eine Kraft"
As group and flight animals, horses are specialized in reacting to the most minute vibes. No wonder then that they can also feel the power of human thoughts. 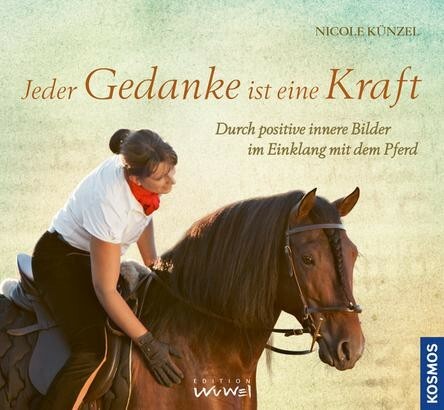 Nicole Künzel describes in this beautifully illustrated book why a rider should learn to meet horses with positive thinking, and how you manage to do so. Many ideas, examples and specific images help you to make handling and riding more harmonious. The author thus creates an elementally important book, not only for riding life.